We had our first frost here in Ohio recently, and the reality sunk in – winter is coming, whether we want it to or not. Hopefully, we have a few more weeks for outside activities but, rest assured, cold and snow are on their way to Ohio. As part of those outside activities amongst bonfires and raking leaves, there may even be a few things we can do to prepare our homes for winter. No matter where you live, there can be some great ways to make your home more weathertight and comfortable. Let’s take a look, starting with outside work and ending up with preparations for personal safety. List-lovers will find, at the bottom, a link to our handy, printable version, complete with checkboxes and spaces to add your own items. Clean out those gutters and make sure the downspouts are flowing freely. 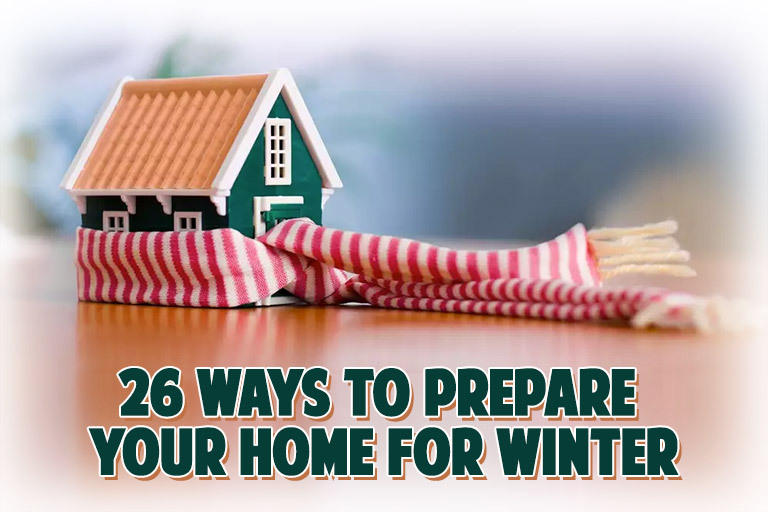 This can help avoid winter icicles and keep water out of your basement or crawlspace. Prune trees away from your house and roof. Remember that snow-laden trees are prone to collapsing and even breaking. Cover up that outdoor living furniture with a tarp or store it indoors. Lay outdoor planters and bird baths on their sides so they do not fill with ice and crack. Disconnect hoses from all outdoor faucets. If possible, shut off the water supply to outdoor faucets and drain them. Clean debris from any wooden decks or patios to protect against rot. Take a close look at your home’s chimney for possible masonry problems. Cold weather, ice, and snow are hard on masonry and can cause leaks. It is much better to head those problems off with proper maintenance while the weather is still good! Clean out any window or vent wells for your basement or crawlspace to ensure they are not blocked by leaves or other debris. Seal up any cracks or crevices in your home’s exterior where mice or other small animals may seek shelter from the storms. Consider adding attic floor insulation to help reduce your heating bills. Properly functioning attic ventilation ensures dry insulation that performs better. Make sure that your attic is dry and that moisture can escape. Look for areas where heat from inside your home may be leaking into the attic. Pay attention to attic access doors, ceiling light fixtures, and fans. These all need to be well sealed in order to prevent heat loss and guard against condensation in your attic and ice dams on your roof. Look for old, cracked sealants around windows and doors that can be dug out and replaced. If your home has leaky or drafty windows, consider using disposable interior “storm windows” that attach with removable adhesive around the window which is “heat shrunk” using a hair dryer for clarity. Close your window coverings at night to help prevent heat loss. Keep your fireplace damper closed when not in use to prevent heat loss. Switch the direction on your ceiling fans to direct warm air back down to the living space. Change your furnace filters for efficiency and to ensure the life of your HVAC equipment. Consider buying a stack of filters and marking your calendar for regular changes. If your furnace has a humidifier, change the filter on it and adjust the valve or damper so that air is flowing to the humidifier. Turn your furnace fan to “on” rather than “auto” to help avoid condensation on your windows. Double check performance of any sump pumps in your home as the frozen ground can put extra load on the amount of water they must carry. If you have any pipes that have been prone to freezing, make sure they are well insulated and that past insulation hasn’t fallen away from them. Stock up on a few things for safety – perhaps some gallons of water, canned foods, batteries, flashlights, electric radio. And, don’t forget your car – perhaps a warm blanket, some salt, an ice scraper, and a small shovel for it as well! Keep some ice melt or sand on hand in case you need it for safety on the walks around your home. Make sure that your smoke alarms and carbon monoxide detectors are working as winter is the most prevalent season for gas leaks and house fires. Remember, if your roof needs to be replaced, metal can still be installed in cold weather. 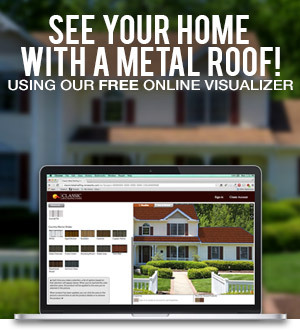 Give us a call at 1-800-543-8938 or visit us at Classic Metal Roofing Systems to learn of an experienced metal roofing contractor in your area. Try to take some time to enjoy any remaining good weather … and we wish you the best as you work on getting your home ready for winter.